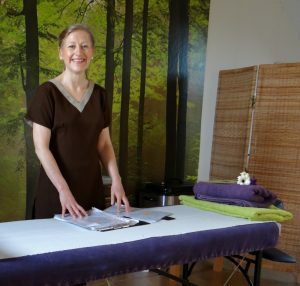 Caroline teaches Body Massage, Aromatherapy and Reflexology Diploma level qualifications to practitioner level, accredited by specialist awarding organisation VTCT (Vocational Training Charitable Trust). VTCT qualifications are mapped to National Occupational Standards and are highly recognised within the complementary and beauty therapy industry. Alongside the diplomas, Caroline runs Certificates in Indian Head Massage, Hot Stone Massage and Thermal Auricular Therapy, all of which will gain you a qualification to enable you to obtain insurance and practice as a qualified therapist and also to become a member of a recognised professional body such as the Federation of Holistic Therapists (FHT). Established in 2014, Essential Solutions has gone from strength to strength and we now run more courses than ever before. These accredited courses are held at our centre in Kimberley, Nottingham, just five minutes from J26 of the M1. We also run regular taster and refresher courses, so whether you are new to holistic therapy, or familiar with the concept and want to develop your training further, we are sure that Essential Solutions has something for you. Hear more from our previous students about training with us. 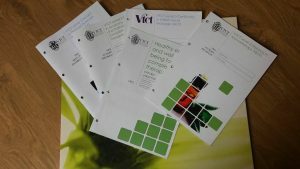 In addition to our training courses, we also offer a wide range of holistic therapy treatments. Our treatments are tailored to suit the needs of the individual and can be a one off ‘pick me up’, or form part of an ongoing treatment plan of support to those with existing health conditions. Why not contact us and find out more about how we can help you……. Error: Error validating access token: Session has expired on Monday, 15-Apr-19 01:34:43 PDT. The current time is Thursday, 25-Apr-19 21:30:19 PDT.